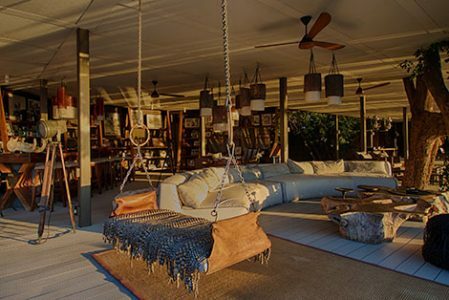 Twice named the Best New Property in Africa, this wildly luxurious camp retains its bush feel with grass and canvas walls and spacious living areas that melt into exquisite, tranquil surroundings. Gigantic, ancient shade trees offer peace and serenity for guests staying in any one of the six stunning villas, while riverside views teem with wildlife in one of the most game-rich areas of Zambia’s South Luangwa National Park. Those looking to combine a game-viewing safari with spa-like serenity. Chinzombo exudes both opulence and serenity. I'm still amazed by the way it felt so raw and natural, and yet so comfortable and luxurious at the same time. 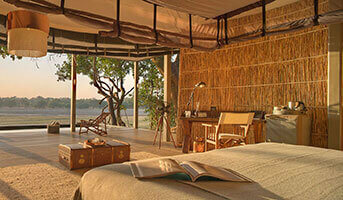 Rates include pick up and drop off at Mfuwe Airport in Zambia, a one-hour drive from the Camp. Chinzombo offers excellent game-viewing with private access to the (predator-rich!) South Luangwa National Park. Chinzombo offers driving safaris with some walks, but travellers are also encouraged to spend time within the architecturally stunning lodge itself. Avail yourself of the spa, take a dip in the private pool or simply sit on deck and watch as elephants drink from the river. Chinzombo comprises six luxury villas, one of which is a family villa, each boasting modern architecture and natural materials like leather, reeds and canvas. Situated on an elevated deck, each villa looks out over the tranquil river and boasts its own plunge pool. 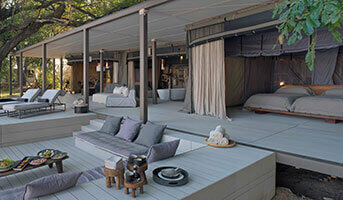 Bedrooms open out onto shaded decks, while each villa also has a yoga and exercise area.